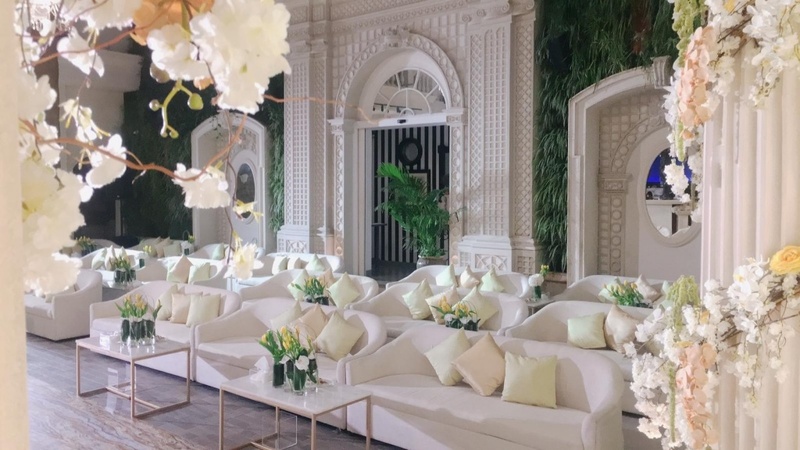 There are tons of wedding venues in Bahrain, and it can be very difficult to decide which would be the ideal setting for your big event. Stop dreaming about your fantasy wedding and start making it happen by tying the know at Gallery 21. 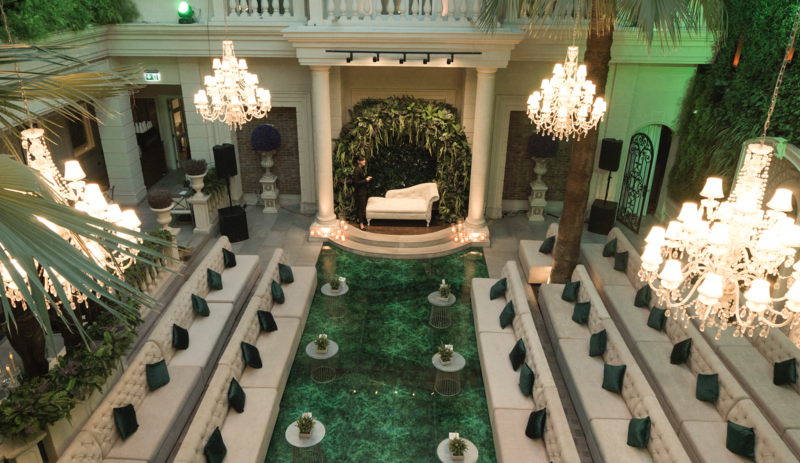 Picture this: you and your partner stride amongst Washingtonian palm trees, in a space that exemplifies glamour, elegance and wanderlust. With its extravagant 18th century European style courtyard, saying your “I do’s” looks like a scene taken straight out of a movie. Known for its chic and stylish interiors, Gallery 21 is set to create an atmosphere of unparalleled high energy, vibrance and sophistication. Whether you’ve got your heart set on an intimate gathering or a grand one, Gallery 21 has the right set up for you – from an exclusive dining for 10 at the Private Dining Room to a full-scale party of 150. Take full control of your event with perfectly tailored group dining menus to table set up just how you like it! A special set up can be arranged for brides who want more privacy. Meanwhile, those who are looking to enjoy the festivities can enjoy Gallery 21’s extensive cocktail and grape menu. Looking for an outdoor venue? Gallery 21’s convertible roof can be opened during an agreeable weather. Have your guests transported into a whole new world of delicious food, enticing ambiance and amazing live entertainment! Gallery 21’s resident band will take you to another level of great dining experience with fantastic live performances. A culinary journey to the Mediterranean! Take your palate on a delicious trip to the Mediterranean with exciting flavors from Spain, Morocco, Lebanon and all time classic from Italy and France. 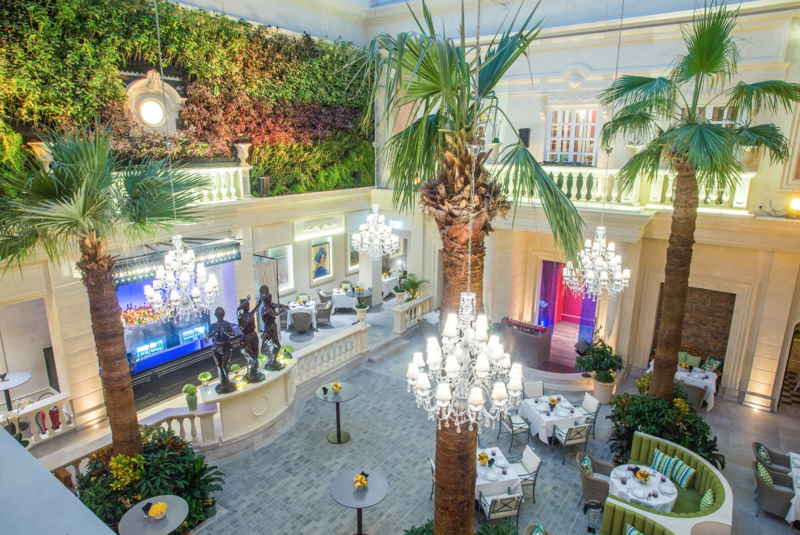 Have a delicious escape at Gallery 21 while being surrounded by beautiful art pieces and intricate designs in breathtaking venue, designed to astound and capture its guests.